EPoS Wizard - EPoS and Cash Register Support Forum • View topic - SPS-2200 Support Network Printing? Does the SPS-2200 support talking to printers via a network? I see there are options in S-Mode to set Ethernet port and then define as a Printer, I have been trying to use these settings to get the till to talk to the printer but I am having absolutely no luck getting a known working network printer to be used as a kitchen printer. 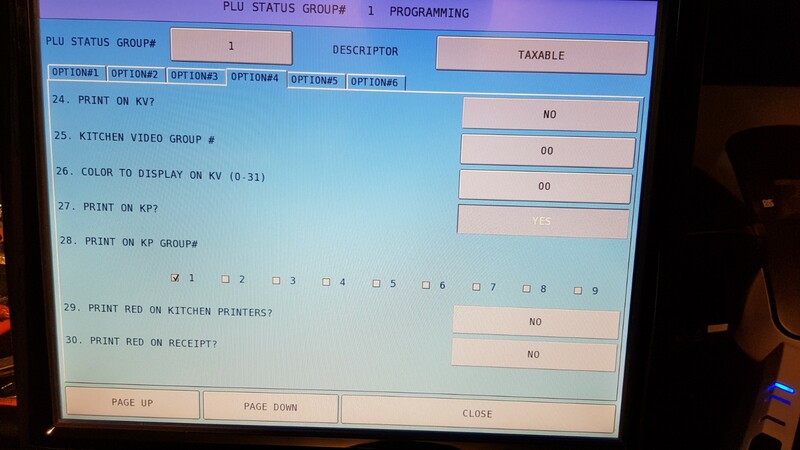 I have set all the relevant System Printer Settings, I have set the KP Routing and PLU options correctly. When I cash a sale, I get an error that the Kitchen Printer is OFFLINE. I have a complicated network setup here, VLAN's, multiple switches etc, so decided to plug everything into a dump switch, still nothing! I have also confirmed that the network cables are indeed OK.
Lost with this one, I really am! Re: SPS-2200 Support Network Printing? but if you have done the kp routing correctly then ..... perhaps something is faulty - call your dealer. I have just put a network sniffer on the network and only once out of many times did the till actually send any data to the IP address of the printer! My dealer is being evasive, and quite frankly I doubt he would be able to figure this out! I'll post some screen shots of my settings later, perhaps I am missing something obvious! OK, here are some screenshots. Please tell me I am doing something wrong! im assuming that you are showing this from till~1 ? 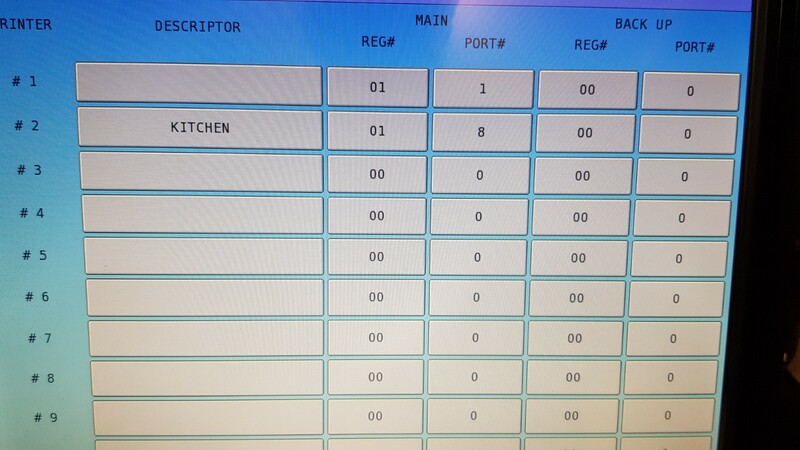 not sure id have printer #2 called kitchen - to be kitchen printer numbers 1 and 2?? andy-the-diver wrote: im assuming that you are showing this from till~1 ? Yes, this is from reg 1. Would the name cause problems? I'll change it to something random. andy-the-diver wrote: to be kitchen printer numbers 1 and 2?? 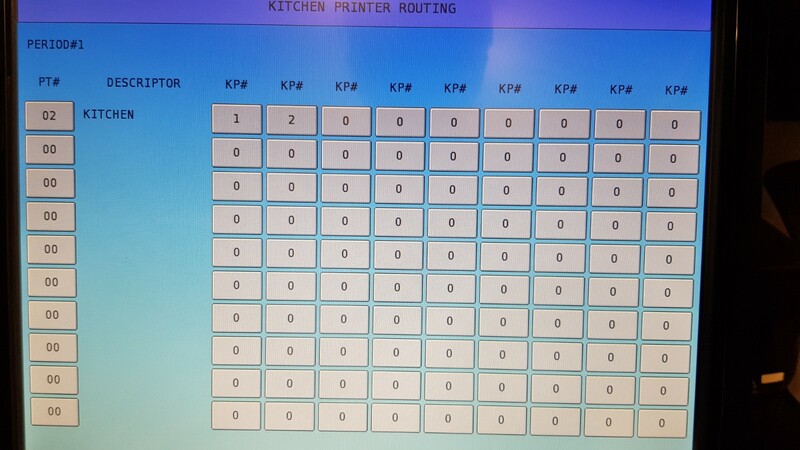 Are you referring to the image of the Kitchen Printer Routing? If so, that was just a test of the PLU Status Groups. I have tried different baud rates, all to no avail! Printer 1 is the receipt printer (Giant 100) connected directly to the till via RS232, this works perfectly fine. So ideally I need Printer 2 to be the Kitchen Printer. I'll give random names to each printer and see if that makes a difference. I find it odd that I get an error message about the kitchen printer being offline, I'd imagine that if I had misconfigured something, it just wouldn't even try to send the data to the printer! Just for more detail. I have tried a couple of different network configurations. I know from previous issues I've had with these tills is that they like to have an IP address in the 192.168.0.0/24 range. So I have tried setting an IP of 192.168.0.11 on the master (REG#1) till. Set gateway to 192.168.0.200 and set a static IP of 192.168.0.15 on the Kitchen Printer as shown in the image above. So on the till and also the actual printer itself. I have also tried the 10.0.0.0/24 range, same thing, no communications! I have tried with the S-Mode Network option both on and off. Makes no difference. Using a network sniffer, Wireshark in this case, I can see the SPS-2200 trying to communicate with other tills when doing an IRC Test. So I know that there is communication occurring. Interestingly the IP address does not change with the S-Mode Network option on or off. It remains 192.168.0.11 regardless. I was kind of hoping to find more interesting things going on with the S-Mode Network option turned off! What I will try is setting the S-Mode Network IP to something different, like 192.168.0.222 and see if it reverts back to 192.168.0.11 after S-Mode Network option has been disabled. This is more for curiosity than actually getting to the bottom of this particular problem! Part of me wants to see if I can access the bootloader and install Windows IoT on this bloody thing and run a proper bit of POS software like ICR!!! DoZZa wrote: Part of me wants to see if I can access the bootloader and install Windows IoT on this bloody thing and run a proper bit of POS software like ICR!!! They are a ROM-based unit running a stripped down version of Linux, and don't have any form of drive to load a proper operating system on to. but did it anyway - low and behold all issues gone!